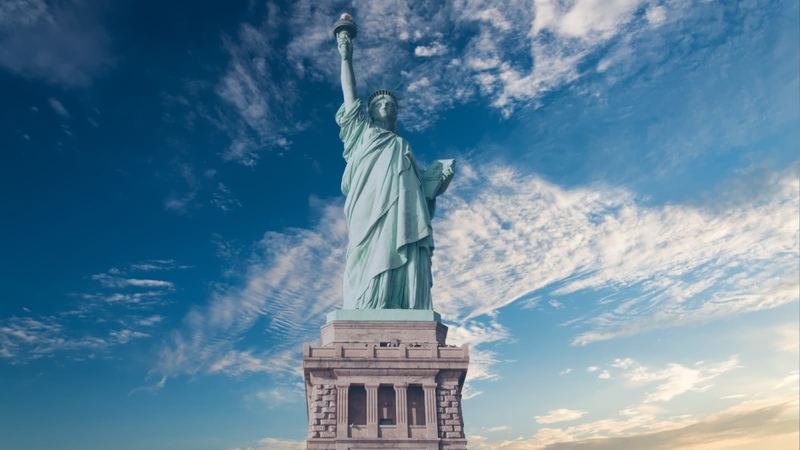 The Statue of Liberty is one of the most iconic images of New York and one of the most famous statues in the world, but how well do you really know the ‘Green Goddess‘? 1. 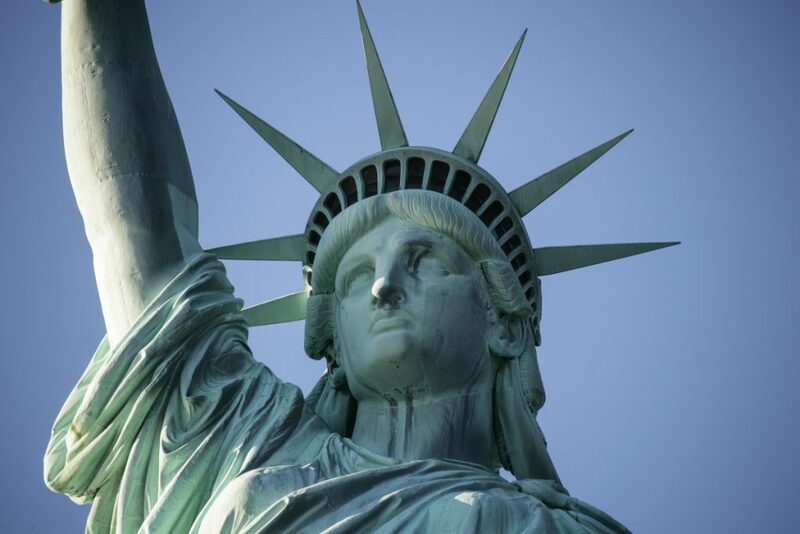 Although the whole world knows her as the Statue of Liberty, her original name is ‘Liberty Enlightening the World‘. 2. One of her many nicknames, the Green Goddess, only became fitting around 20 years after she was first constructed. She consists of over 300 sheets of copper, and in her younger years she was a copper coloured. She only faded to the green tone we know and love today after a couple of decades of oxidisation. 3. Like thousands of other New Yorkers, she is an immigrant. 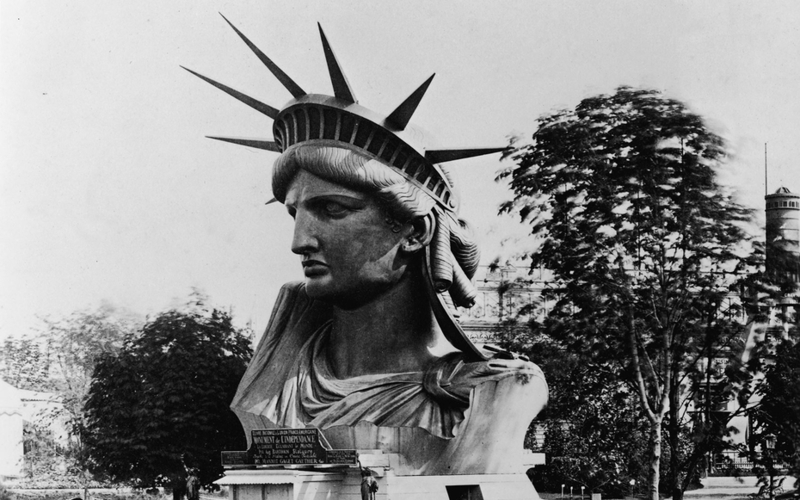 The brainchild of three Frenchmen, she was presented to New York as a present from France in 1886. 4. Her designer, Frédéric Auguste Bartholdi, may well have modelled her on his own mother, Charlotte. 5. When she was unveiled in 1886, she inspired New York’s first ever ticker-tape parade in the nearby financial district. 6. A less supportive welcome was offered to her by suffragettes, who rented a boat to protest alongside the statue at so few women being present at her unveiling, and to demand the vote for women. 7. True to her original name, she was so tall she was originally used as a lighthouse. 8. The seven spikes on her crown are actually part of a halo, and are meant to represent the seven seas. 10. Liberty Island, where the statue lives, has long been the scene of a tug-of-war between New York and the far closer neighbouring state of New Jersey. The island is currently controlled by New York, but falls under New Jersey’s control and tax administration. 11. BONUS FACT: Most people fail to notice what lies at the statue’s feet: broken chains, a symbol of the freedom she was built to represent. 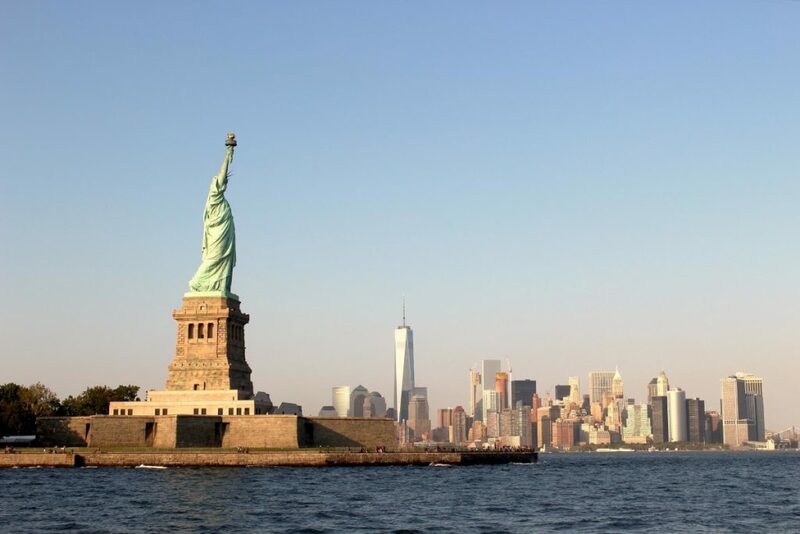 To get to Liberty Island you can buy tickets to Statue Cruises, which will take you to both the statue and neighbouring Ellis Island, either at nearby Castle Clinton or, to beat the lines, online. Our top money-saving tip is to hop on the Staten Island Ferry just a short walk to the east of Castle Clinton, which will take you alongside the statue and is completely free. Stand on the right-hand side on the way out for the best views! If you want to learn more about the Statue, along with the early history of New York from the days when it was New Amsterdam, our guides will be waiting for you 7 days a week, 365 days a year, on the steps of the National Museum of the American Indian at 11am to give you a free guided tour of downtown Manhattan. Come and join us!